Be part of a dynamic & innovative leadership team. Currently undergoing an exciting period of growth, they are now seeking to appoint a People and Culture Advisor to manage all of their HR generalist activities across People & Culture. Reporting directly to the Director, People and Culture you will be responsible for managing employee lifecycle activities including: end to end recruitment; induction and orientation; supporting performance management in coordination with people managers; supporting the implementation of organisational development initiatives; developing and maintaining effective administrative systems processes; and workflows that are aligned with strategic objectives and ensuring compliance with all legislative, sector and organisational requirements. Demonstrated recruitment, workplace relations, OHS and legislative compliance knowledge and experience. A passion and interest in people, culture and HR best practices. An ability to work independently, with initiative, sound judgment, attention to detail and be able to deliver high quality results. Credibility and Integrity and be able to influence and work effectively with Senior Management. You will be strongly aligned to the mission and values of this unique organisation and be looking for a role where you can use your talent and abilities to take that next step in your career and really make a difference. Your knowledge of the not-for-profit sector will be highly regarded. A competitive remuneration package will be offered including attractive packaging benefits, salary packaging, flexible working conditions and professional development opportunities. 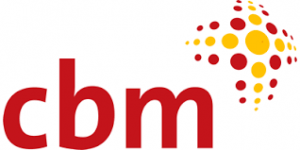 Our client CBM Australia is an International Christian Development organisation, committed to improving the quality of life of persons with disabilities in the poorest countries of the world. They partner with government and non-government organisations with the aim of building and promoting an inclusive world in which all persons with disabilities enjoy their human rights and achieve their full potential. Please quote in application: People & Culture Advisor via Pro Bono Australia.